We point out that leptonic weak-basis invariants are an important tool for the study of the properties of lepton flavour models. In particular, we show that appropriately chosen invariants can give a clear indication of whether a particular lepton flavour model favours normal or inverted hierarchy for neutrino masses and what is the octant of θ23. These invariants can be evaluated in any conveniently chosen weak-basis and can also be expressed in terms of neutrino masses, charged lepton masses, mixing angles and CP violation phases. Daya Bay collaboration, F.P. An et al., Observation of electron-antineutrino disappearance at Daya Bay, Phys. Rev. Lett. 108 (2012) 171803 [arXiv:1203.1669] [INSPIRE]. J.A. Aguilar-Saavedra and G.C. Branco, Unitarity triangles and geometrical description of CP-violation with Majorana neutrinos, Phys. Rev. D 62 (2000) 096009 [hep-ph/0007025] [INSPIRE]. A. Pilaftsis, CP violation and baryogenesis due to heavy Majorana neutrinos, Phys. Rev. D 56 (1997) 5431 [hep-ph/9707235] [INSPIRE]. G.C. Branco, T. Morozumi, B.M. Nobre and M.N. Rebelo, A Bridge between CP-violation at low-energies and leptogenesis, Nucl. Phys. B 617 (2001) 475 [hep-ph/0107164] [INSPIRE]. S. Davidson and R. Kitano, Leptogenesis and a Jarlskog invariant, JHEP 03 (2004) 020 [hep-ph/0312007] [INSPIRE]. G.C. Branco, M.N. Rebelo and J.I. Silva-Marcos, Leptogenesis, Yukawa textures and weak basis invariants, Phys. Lett. B 633 (2006) 345 [hep-ph/0510412] [INSPIRE]. P.H. Frampton, S.L. Glashow and D. Marfatia, Zeroes of the neutrino mass matrix, Phys. Lett. B 536 (2002) 79 [hep-ph/0201008] [INSPIRE]. H.K. Dreiner, J.S. Kim, O. Lebedev and M. Thormeier, Supersymmetric Jarlskog invariants: The Neutrino sector, Phys. Rev. D 76 (2007) 015006 [hep-ph/0703074] [INSPIRE]. G.C. Branco, M.N. Rebelo and J.I. Silva-Marcos, Degenerate and quasidegenerate Majorana neutrinos, Phys. Rev. Lett. 82 (1999) 683 [hep-ph/9810328] [INSPIRE]. P.F. Harrison, D.H. Perkins and W.G. Scott, Tri-bimaximal mixing and the neutrino oscillation data, Phys. Lett. B 530 (2002) 167 [hep-ph/0202074] [INSPIRE]. G.L. Fogli and E. Lisi, Tests of three flavor mixing in long baseline neutrino oscillation experiments, Phys. Rev. D 54 (1996) 3667 [hep-ph/9604415] [INSPIRE]. 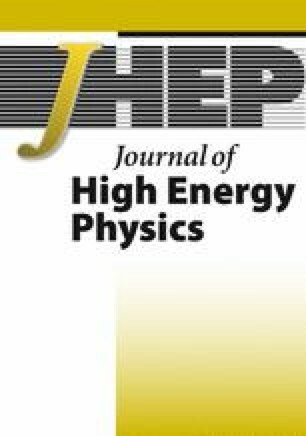 H. Minakata, H. Sugiyama, O. Yasuda, K. Inoue and F. Suekane, Reactor measurement of theta(13) and its complementarity to long baseline experiments, Phys. Rev. D 68 (2003) 033017 [Erratum ibid. D 70 (2004) 059901] [hep-ph/0211111] [INSPIRE].